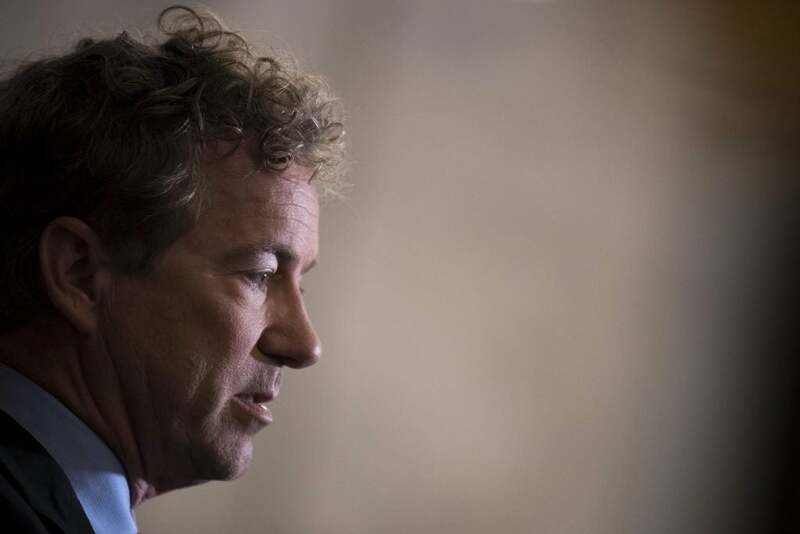 RUSH: So Kentucky Senator Rand Paul was out mowing his yard. He was attacked. Five broken ribs. By the way, how many other senators do you think mow their own lawns? Anyway, there he was. He’s out there mowing his yard and he was attacked. “The man responsible for attacking Sen. Rand Paul Friday afternoon was an avowed liberal, who frequently fought with his neighbors about politics, according to a report Sunday from The Washington Post. “Local citizens say Rene Boucher, the 59-year-old man who assaulted Paul, was a socialist who frequently fought with neighbors about health care policies and other liberal issues. Boucher and Paul … are on the opposite end of the political spectrum, they told reporters.” But that’s not the point. Democrats and liberals are out attacking and shooting Republicans and conservatives! 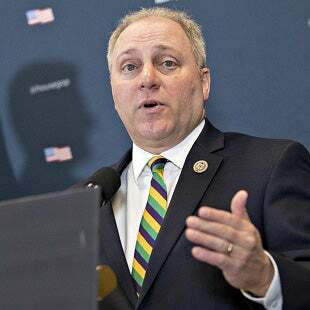 This Looney Toon guy that shot up the congressional baseball practice that nearly killed Steve Scalise. We have this Texas shooter who’s obviously an oddball. Now this guy attacked Rand Paul, and then there’s a story: “Keeping Scott Pruitt Safe.” Scott Pruitt is, of course, the EPA administrator. Since Scott Pruitt got there and has been implementing the Donald Trump anti-climate change agenda and bringing coal back to the American forefront in terms of energy production — basically focusing on fossil fuels and fracking and ignoring and shredding the Obama Regime’s climate change rules… I mean, the security detail that is needed for Scott Pruitt would blow your mind. We’ve had a violent attack on a Republican senator in his own yard by a leftist neighbor. This horrible shooting in Texas at the church. We had this shooting in New York City via the Diversity Visa Program, and now we have the Scott Pruitt story from the Wall Street Journal. This actually was from November 1st. 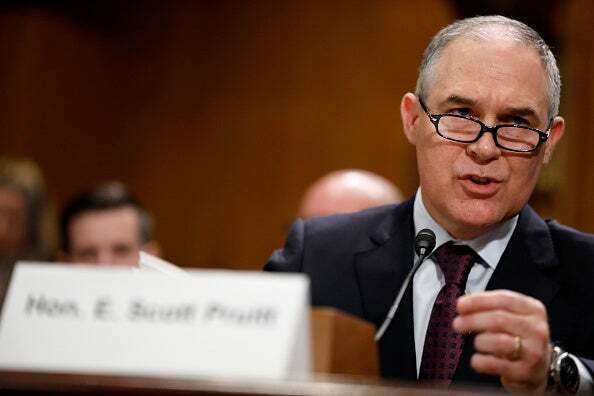 There’s an editorial: “Keeping Scott Pruitt Safe — Reform in Washington is always difficult, but at the Environmental Protection Agency it’s also dangerous. “Since the Trump administration took office, the agency has investigated more than 70 credible threats against EPA staffers, with a disproportionate number menacing Administrator Scott Pruitt and his family. The EPA responded by beefing up his security detail, but Mr. Pruitt’s political opponents are now trying to hold these warranted precautions against him. Mr. Pruitt has received more than five times as many threats as his predecessor, Gina McCarthy. These include explicit death threats. Some have referenced Mr. Pruitt’s home address. “Federal law enforcement has determined that some of those threatening Mr. Pruitt are likely capable of carrying out acts of violence.” These are not just empty threats by some of these people. “EPA security has already caught suspects prowling around the administrator’s neighborhood.” Now, folks, is it any wonder that Republicans might be a little skittish, above and beyond their fear already of the media — which, of course, is not a fear of violence against them. It’s a fear of being destroyed in the media if they dare stand up for what they believe in. It is more than obvious that the left is encouraging their followers to be vile, aggressive, abusive, and dangerous. There’s no question about it. The left is encouraging this kind of activity. They are promoting it and they celebrate it! I don’t care whether you see it in Baltimore, whether you see it in Ferguson, Missouri. Wherever you see a public riot, wherever you see any public riot with violence in response to Trump, all of this is applauded. And in the Drive-By Media, while it may not all be applauded, it is certainly treated with respect. And we’re told something along the variation that we need to understand the rage. We need to understand why these people are doing what they’re doing. The left can routinely make movies, write books, do tell-alls about how to assassinate Republican presidents! We’ve already had one of these lunatics try to wipe out one-third of the Republicans in the House at that baseball practice. Now the EPA administrator needs 24/7 protection for himself and his family. I’m just gonna tell you: Terrorists do not always just come from Uzbekistan. They don’t just come from Afghanistan. They don’t just come from Al-Qaeda. Sometimes terrorists come straight from the Democrat Party, straight from the American left — and, worse, the Democrats then try to suggest that it is wasting money. That’s what they’re say with Scott Pruitt, wasting money trying to protect himself from their constituents. But the encourage this! The vile, repulsive, just raw rage and anger that is on display daily on social media is infectious. You know something else? I’ve referenced this before, and I’m gonna mention it again. I am seeing — and it isn’t new. I’m just seeing it in greater quantity. It seems like a news story happens, no matter what it is, and the automatic — you know, journalism lives under a bunch of false, phony precepts. And one of them is that there must be both sides presented in every story, and in many cases both sides are presented, but it’s cockeyed, and it’s jaundiced, and it is prejudiced, and it’s formulaic. It’s almost like the pieces written are the result of cut-and-paste on the area here to include both sides. But you know what’s more and more becoming the journalism way of including both sides? They go to Twitter. News story A happens, journalist goes to Twitter to see what the reaction to it is and then it’s printed as though everything happening there is normal, that everybody on Twitter represents a natural cross section of American people, and it doesn’t. The number of bots alone on Twitter seem to me to disqualify Twitter as a legitimate source. Let me give you an analogy. This is the most listened to radio program in America. So imagine if instead of Twitter, imagine if the Drive-Bys on every story then tuned in here to listen to what callers were saying and used that as their balance or used that to buttress the primary point they’re trying to make. “Callers today to the Rush program.” They would never do that. They would never say callers to this program represent a cross section of America. Now, part of this is just general overall laziness. It’s easier to go to social media and find the most incendiary reactions you can and print them than to actually get out of your chair and work and go out and talk to people, find out what they think and do it at least with a modicum of scientific ability or approach to it. But it’s insane because Twitter is insane. I mean, it can be a sports story, it can be the Diversity Visa Program, this church thing. And these are nameless people. They put their names there but you don’t know who they are. The more incendiary the tweet, particularly if it’s about Trump, the better. And of course the point is to make it look like whatever’s on Twitter is what’s happening in America. Whatever’s on Twitter is what Americans think. And I can tell you that it isn’t just by virtue of all of the bots alone that are manufactured and don’t even represent people. We here at the EIB Network were among the first to track down this technique. We had to. It was a matter of business. We had to find out where all this lying, phony baloney, plastic banana, good-time rock ‘n’ rollerism was coming from. And in our case — not to beat a dead horse — we found 10 people who, on Twitter, were able to make themselves look like hundreds of thousands, with the cooperation of Twitter, I might add, helping and assisting in the creation and use of bots, botnets and bot this — “bot” being short for robot. But I’ve noticed this more and more. It happens in sports media. It happens in the news media, and now the networks are even, you know, randomly showing Twitter reactions to whatever news story there is. And I think it’s all contributing to poisoning. If you look at the American cultural as a soup or as a stew, man, there’s a lot of poison in it, and it’s effervescing, it’s bubbling up to the top. And who’s doing it? Who’s turning anonymous Twitter lunatics into mainstream media news sources? The mainstream media, the Drive-Bys. And they don’t have to look very hard to find lunatics who want to make the point they’re trying to make, pro or con. And all of this is coarsening our culture, all of this is promoting partisanship and anger, bitterness, violence. And it’s rooted in a whole bunch of human behavior characteristics led by the desire to be famous or to be known or to have an audience or to have followers or what have you. Coupled with every human being’s desire to have a meaningful life, to matter and so forth. And so Twitter — and throw Facebook in there, too, but Twitter is used far more as news source material or public reaction material than Facebook is. RUSH: Oh, there’s a picture Rand Paul. You Rand Paul might be out of business for, what is it, weeks? He might be out of for months? Five broken ribs. He might not be able to go to work and vote for months, after being beat up while mowing his lawn by an angry socialist in his neighborhood. Do you realize how that can impact votes on things?